Midsummer Cottage in Stratford-upon-Avon, Warwickshire sleeps 4 people. 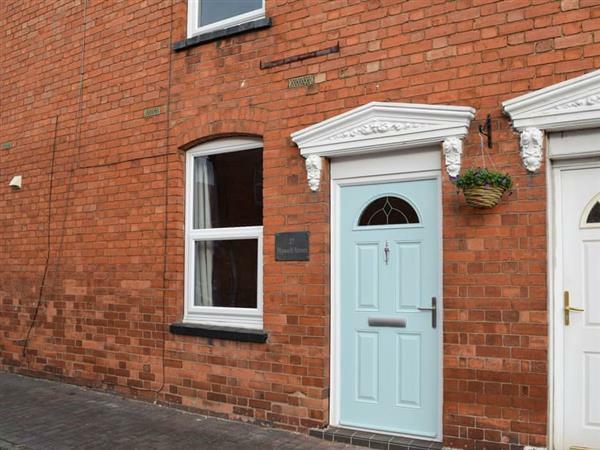 Midsummer Cottage in Stratford-upon-Avon is a terraced cottage which makes the ideal base from which to explore this fabulous town. Perfect for couples, friends or small families, Midsummer Cottage gives guest a lovely ‘home from home’ feel. It has a comfortable living room, a ground floor shower room and a kitchen/dining room, overlooking the courtyard garden where you can relax with a drink after a full day’s sightseeing. Upstairs you’ll find everything you need for a great night’s sleep in either the double or twin bedroom. Within just a few minutes’ walk you will be in the centre of William Shakespeare’s home town where you can discover his birthplace along with the Royal Shakespeare Company Theatre, where you can take in one of his famous plays. There are many other famous sites nearby including Anne Hathaway’s cottage, Stratford-upon-Avon Racecourse and many historic buildings dating back to the Tudor period. You can also take a sightseeing ‘hop-on hop-off’ bus around the town, a cruise along the River Avon, or eat and drink at the many independent high street pubs, restaurants, cafés and tea rooms. For some retail therapy, you can shop till you drop at an array of stores. Take a day trip out of town to the many National Trust properties, nearby Warwick with its famous castle, or the beautiful towns and villages of the Cotswolds National Park including Stow-on-the-Wold, Bourton-on-the-Water and Moreton-in-Marsh to name a few. Slightly further afield is Royal Leamington Spa and Kenilworth. Birmingham and the National Exhibition Centre are also easily accessible. The shop, pub and restaurant are all 200 yards from Midsummer Cottage in Stratford-upon-Avon. Living room: With 32 Smart TV. Gas central heating, electricity, bed linen, towels and Wi-Fi included. Welcome pack. Enclosed courtyard with patio and garden furniture. Parking permit for 1 car included. No smoking. Holidays at Midsummer Cottage run from Friday to Friday. For a better idea of where Midsummer Cottage is, you can see Midsummer Cottage on the map below. Midsummer Cottage is in Warwickshire; should you be on the lookout for a special offer, you can find all the special offers in Warwickshire. It's always worth checking to see what is on offer at the moment. Do you want to holiday near Midsummer Cottage (UK10673), you can see other cottages within 25 miles of Midsummer Cottage; have a look to find your perfect holiday location.